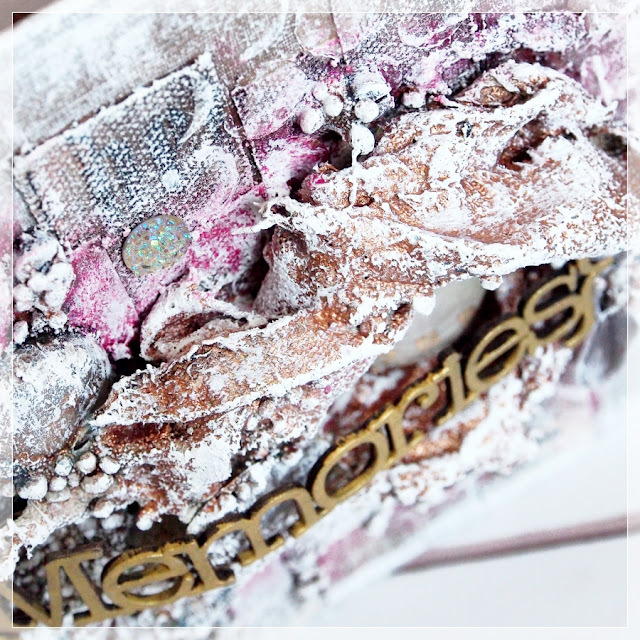 Sometimes I make albums for my friends, but would you believe that I have never made one for myself? I decided to change that and to start with the cover and later slowly fill the pages. Of course, right from the start I knew it had to be full of mediums and textures. So here it is - finally an album just for myself. I used Sculpture Medium and fabric stripes to make a sort of a nest that adds this extra dimension to the whole piece. I really like this effect and the fact that after drying, the shape is very hard and durable even though it might look quite soft. This means you don't have to worry that this kind of embellishment will get damaged when using the album. You can watch the whole process in the video below. 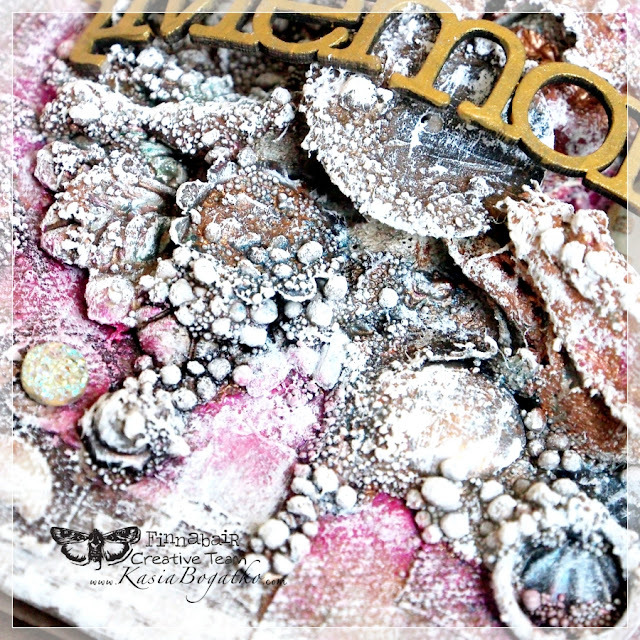 To create a rich and varied composition, I used Mechanicals, clear Art Pebbles and my favorites: Art Stones and Mini Art Stones. As you can see, I used a lot of different embellishements and I didn't want my cover to look too heavy. 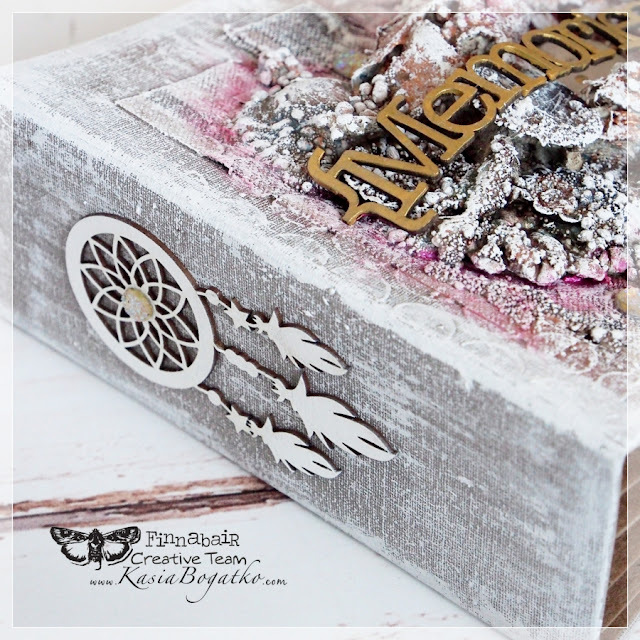 That's why I used White Gesso to highlight all the details and make the whole piece look more delicate. And for now, I invite you to watch my video and please - be inspired! 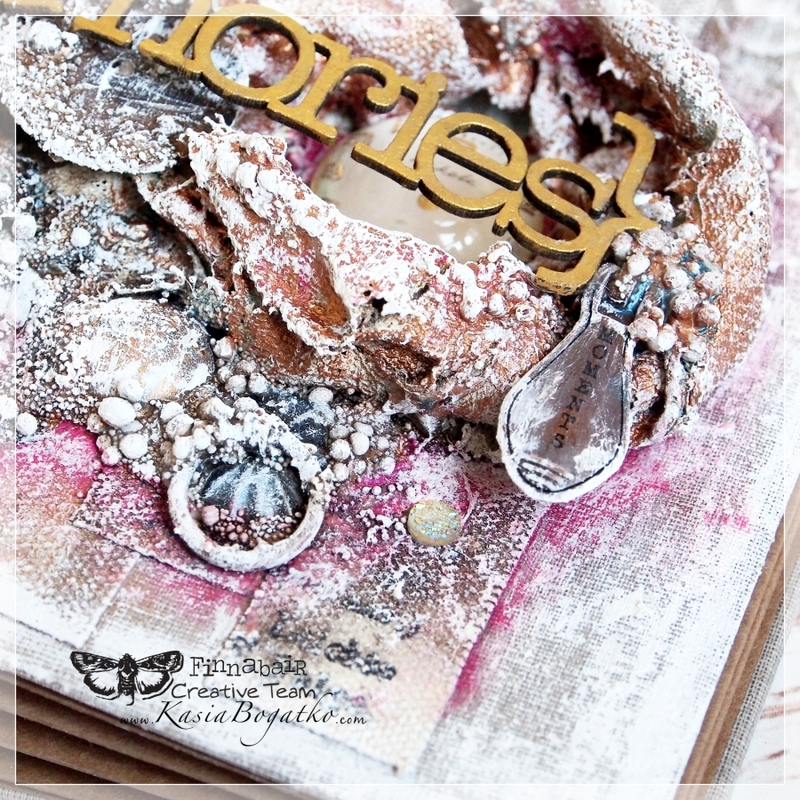 Kasia - your album cover is so very gorgeous and textural! !